Colorful pints of Ben & Jerry’s ice cream, bottles of Coca Cola, and loaves of bread tempt visitors from behind glass walls as they enter Yale University’s “Big Food” exhibit. After walking through the calorie-dense entrance, an array of activities to explore mirrors the multitude of choices we face everyday. While themes of eating, exercise, and advertising weave through the show, the entrance and much of the exhibit are so visually arresting that each display can consume the viewer and, at times, obscure the complexity of obesity. 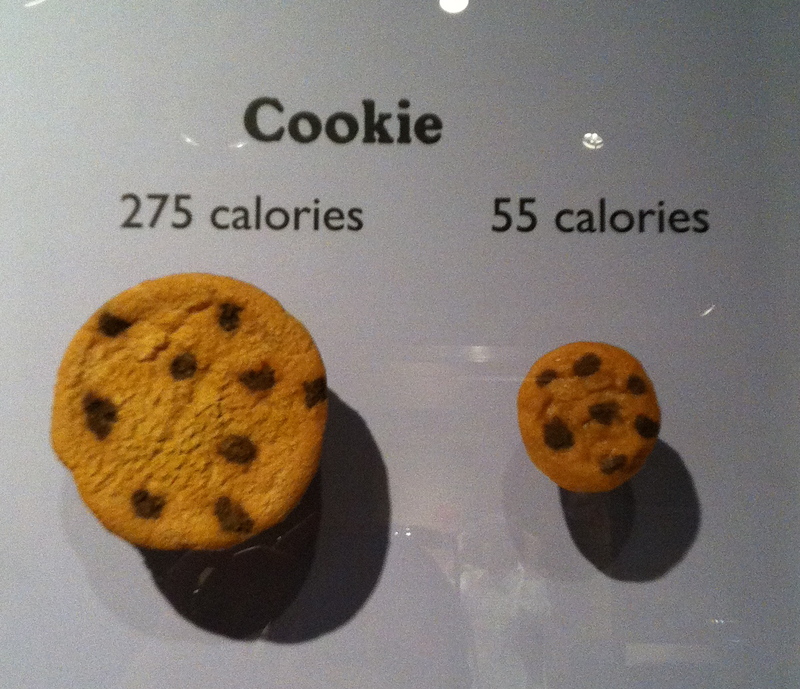 One of the museum’s most effective displays lays out the change in generic portion sizes over the past 20 years. It shows an average piece of pizza from twenty years ago next to today’s average slice, along with bagels, muffins, cookies and coffee. Calories in most of these items have doubled, or even tripled, over the two decades. No text was needed to hit this home: every time we eat a muffin or a cookie today, we run the risk of consuming many more calories than in the ’90s. 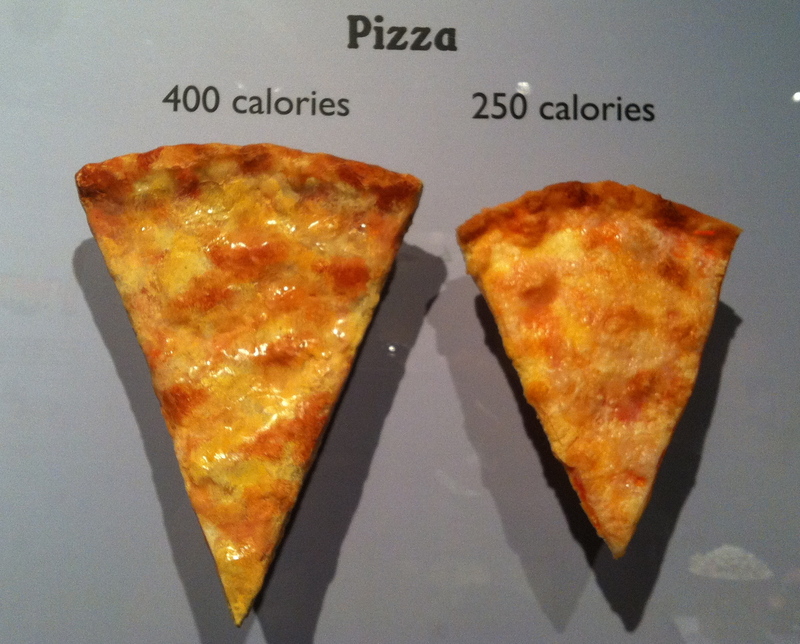 The museum leads you from changing portion sizes to changing lifestyles, emphasizing the multifactorial nature of the growing rates of obesity. 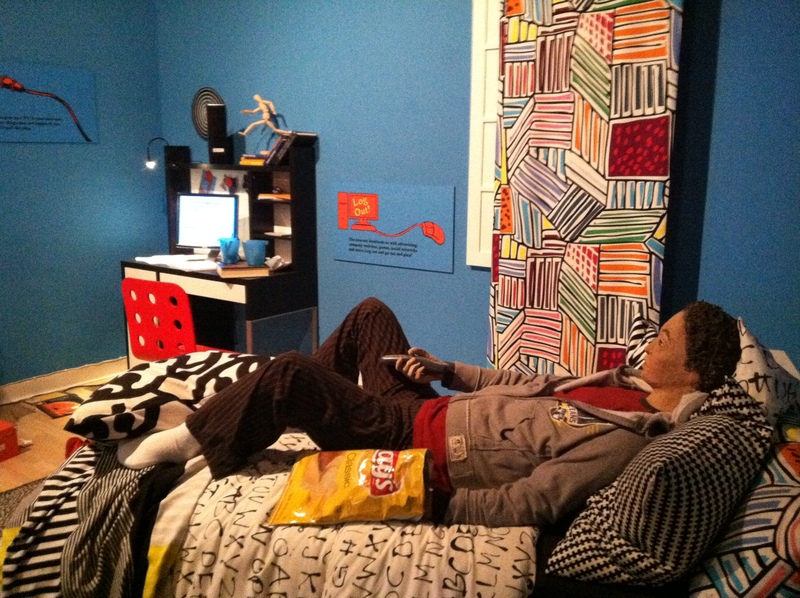 A model of a bedroom shows a teenage boy lying on his bed eating potato chips while watching TV, surrounded by other objects encouraging a sedentary lifestyle, such as his computer. Ironically, it was hard to get bored as we played on nearby computers to look up different states’ statistics on obesity, unemployment, and health insurance. Games such as “Smash Your Food!” and “Strike a Balance” reveal nutritional contents and challenge the player to balance consumption with energy output. The computer games question whether obesity might be fought with its own weapons, or whether the educational tool also reinforces the sedentary lifestyle it criticizes. The medical section presents the health problems associated with obesity. Glass cases display cross-sections of an enlarged (hypertrophic) human heart, which results from the extra work the heart muscle must do when faced with high blood pressure – a common effect of being overweight. Models of clogged arteries are compared to open ones, placed beside cross-sections of damaged hearts. The waxy model of five pounds of fat invites you to reach in and lift it – to feel the burden of carrying around extra weight – showcasing the variety of the visual, tactile, and interactive displays at the exhibit. At the exercise section, a stationary bicycle invites you to hop on and pedal while a strip of lights on the wall shows the number of calories burned and a corresponding food source. Three minutes of pedaling burned off a carrot. Depressing for sure, but it gets worse. A section on the hazards of “cradle to grave” advertising of high-calorie food and beverages points out that children can identify brand logos by the age of three. 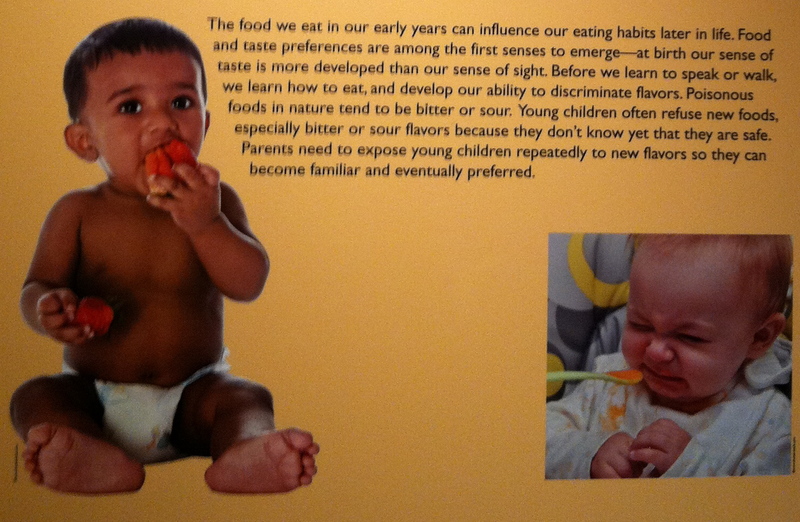 Increasing obesity around the world (“globesity”), the early human diet, infant feeding, and a final section on suggestions for physical activity round out the exhibit. Is anything missing? While the exhibition effectively demonstrates the complex social and cultural forces affecting individual behavior, there was little reference to poverty and safety in limiting food and activity choices. There are many public health efforts to create sidewalks and playgrounds and provide exercise options where they don’t currently exist. But a key part of the problem is in the safety of these activities: if people don’t feel protected taking a walk or playing in playgrounds, then the barriers to exercise are still high enough to discourage it. Another missing element was a discussion of genetic predisposition to obesity. Although there is no consensus in public health, science, or medicine, we would have liked to see the exhibit acknowledge the questions about genetics as a potential part of the obesity equation. 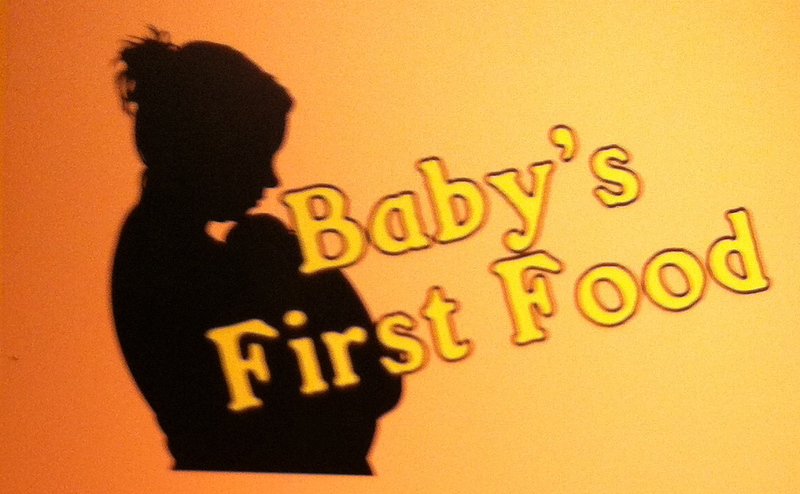 Lastly, the exhibit offers a brief discussion of early eating habits, “baby’s first food,” which is a poster on breast-feeding that offers little reference to the historical swings in medical recommendations. In the twentieth century alone, breast milk, then formula, and now breast milk again has been declared superior. This reflects one of the few shortcomings of the exhibit, and one of the persistent tensions between public health and history: the acknowledgement of controversies in the data, multiple perspectives on the “best” solution, and the privileging of newer data over previous views. 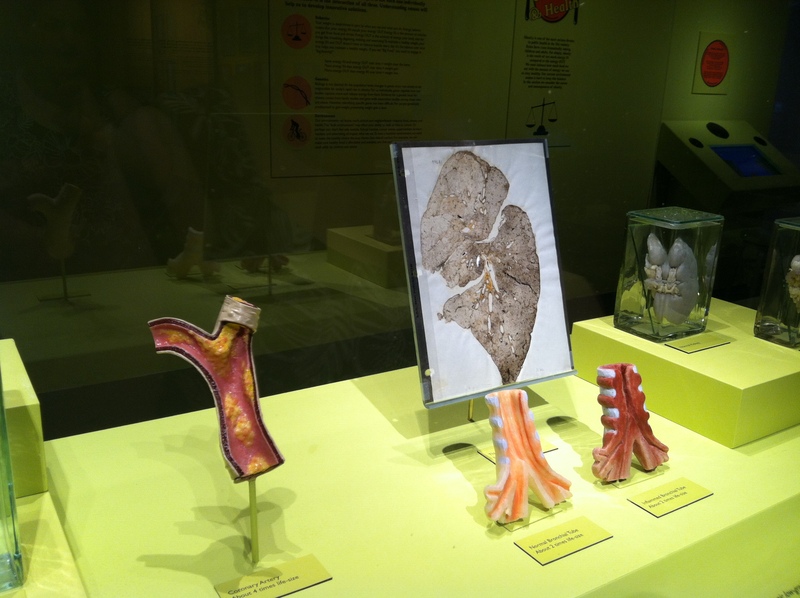 The exhibit overlooks historical changes in the opinions of medicine and public health, which is one of the key tensions between science and history, public health and the past. Nevertheless, it’s refreshing to see a museum take on the problem of obesity through the lens of over-eating, under-exercising, and highly-effective corporate advertising. But “Big Food” is more than a reference to corporate power; the punning title also reflects how we, and our food, have gotten bigger. It shows us the challenges we face in contemporary culture and inspires us to change our habits. And yet, it also makes us question whether the focus on behavior oversimplifies the extraordinarily complex social and economic factors that manifest in our bodies. Calories in minus calories out is elegant, but rarely do we encounter choices for our lifestyles as clear cut as that. The special exhibit, which began in February 2012, will be showing in Yale’s Peabody Museum through December 2, 2012. It was designed through a collaboration between the Yale Peabody Museum of Natural History, CARE: Community Alliance for Research and Engagement at the Yale School of Public Health, and the Rudd Center for Food Policy and Obesity. The lead curator was Yale professor Jeannette Ickovics, Ph.D. Cool information! I am not sure why you would be so interested in genetics, though. It seems that anybody who is alive today is here because they have good genes! Maybe by invoking ‘genetics’ you are failing to take Society seriously as being responsible for these problems? On a more positive note, it makes sense what you say about how limited the ‘calories’ discourse is, and how it mostly does little more than veil the deeper personal and macro-level issues. Thanks again for a wonderful internet reference!